The Men's Big and Tall CB DryTec™ Edge Half Zip features Pieced Sleeve, self-fabric, customizable with single logo imprint. Our Men's Big and Tall Interbay Melange Stripe Polo features lightweight polyester, moisture wicking property to create a unique product for your tradeshows or company events. 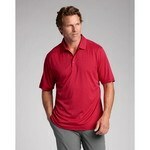 The Men's Big and Tall Lakemont Half Zip features Jersey stitch, attractive colors, customizable with your company logo. The Men's Big and Tall Lakemont Vest features attractive colors and v neck which makes a unique product for promotional events. The Men's Big and TallL/S Epic Easy Care Fine Twill features button down collar and adjustable cuffs to create an amazing product for your future tradeshow or company event. The Men's CB DryTec™ Blaine Oxford Polo is luxuriously comfortable and has an amazing fit. 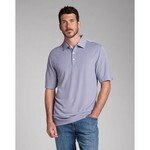 The Men's CB DryTec™ Chelan Polo is woven from polyester to ensure it is water-resistant and highly durable.